Screenshot of Blue Ink Review. Bowker’s most recent analysis of ISBN numbers revealed that 458,564 books were self-published in 2013, an increase of 17 percent over 2012. 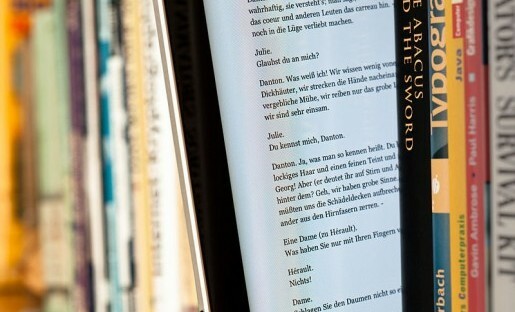 Occasionally an indie book breaks out of this crowded pack and achieves significant sales or acclaim, but this is still a rare occurrence, given the sheer number of titles, the variability of their quality, and the fact that the traditional sources for advising readers about which books to read are still largely geared toward traditionally published books. As self-published books continue to proliferate, however, several companies have begun offering paid book reviews to indie authors to help them break out. Traditional review publications now sell reviews to self-published authors. Publisher’s Weekly offers PW Select, which for $149 runs a photo of the book’s cover and a brief synopsis in PW and considers the books for a full review. Kirkus Indie offers “professional, unbiased book reviews for self-publishers” in 7 to 9 weeks for $425. Blue Ink Review specializes in reviews of self-published titles, offering reviews in the same time frame for $395. Is purchasing such a review worth it? For one Wyoming-based author of three self-published works of fiction, Tamara Linse, the answer is yes. Maria Elena and used here with Creative Commons license. Linse’s fiction, including many of the stories in the collection “How to Be A Man,” had previously appeared in literary magazines, made it to the finals in several writing contests, and earned her an offer of representation from a major literary agency, which she has now been with for over five years. Linse knew she was self-publishing high-quality work, and was willing to pay for unbiased reviews as a way to help it stand out from the indie book pack. But, Patti Thorn, who started Blue Ink Review in 2010 said, “we get comments all the time from authors saying that [our review] helped them sell their books or feel more credible as an author.” Thorn had been the Books Editor of the Rocky Mountain News for almost twelve years when that newspaper went under in 2009. (I wrote book reviews for her for nine of those years.) When she was trying to figure out her next career move, she talked with Colorado-based literary agent Patricia Moosbrugger, who agreed with her that self-published books were the trend of the future. 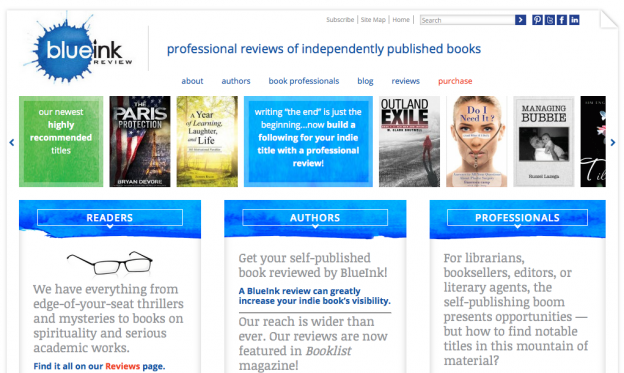 They launched Blue Ink Review in 2010, and since then have published 5,000 reviews of indie books. I spoke to Patti Thorn over the phone from her home near Denver about the origin and value of Blue Ink Review, the trends in self-publishing, and her predictions for the future of indie publishing. How did you come up with the idea for Blue Ink Review? 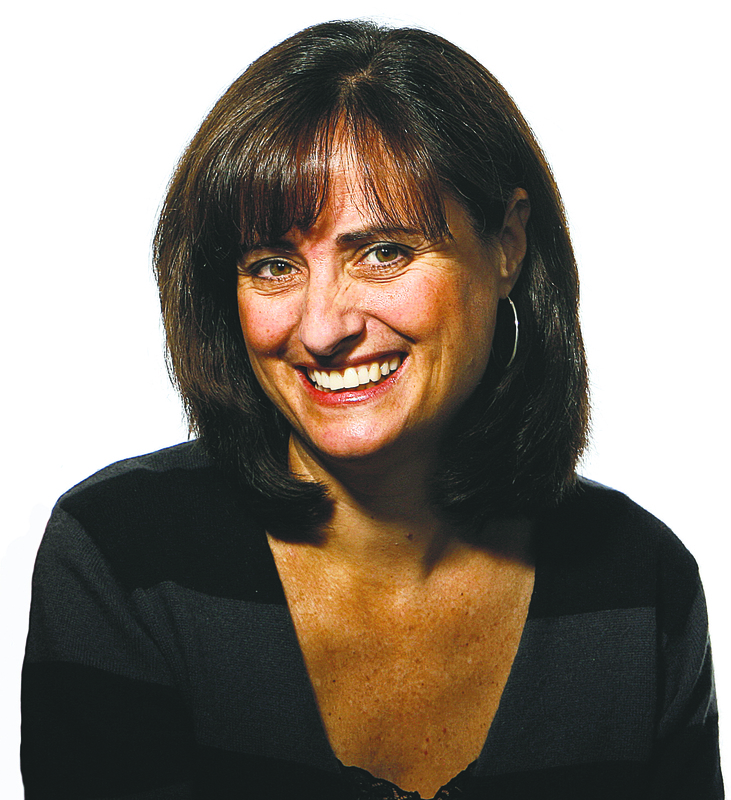 Patti Thorn: The paper went down in 2009. At that time, everything seemed to be caving in in terms of publishing. The book world was caving in and everybody was getting laid off. I got together with my partner, Patricia Moosbrugger, who is a literary agent, and we looked to the future. Self-publishing was growing by leaps and bounds, and one thing we felt strongly about is that self-published books needed a pathway to credibility in terms of reviews. It was very hard for self-published authors to get reviews in mainstream press, which I know well from my position at the Rocky Mountain News. There are so many traditional books—you’re just inundated. To consider self-published books on top of that, you just can’t do it. You don’t have the budget, you don’t have the resources. We were talking about how these people really need reviews, and that’s how we came up with the idea. Now there are several review-for-pay services for self-published writers, including those from Kirkus and Publisher’s Weekly. Were they around when you started Blue Ink? Thorn: Well, that was the other reason we started Blue Ink. Kirkus was doing it very shamefully on the back end of their website — it was kind of hidden away. PW had just started this PW Select thing, which has a strange model. You pay $149 for a listing in their magazine. It’s just a couple of lines about your book, not really a review. They promise to choose a few that they are going to do full-blown reviews of. Foreword Reviews and Clarion were doing it as well, and they were all doing it as sort of a shameful part of their world, kept hidden from their main audiences. We wanted to create a place where we could celebrate the good stuff that we found and do it as our exclusive business, just focusing on self-published authors. We wanted to give them a venue where their work would be honored and celebrated. How did you convince people to give Blue Ink a try? Thorn: We did a lot of networking. We went to writers’ conferences and got the word out about who we were. Initially we did some reviews just to get some on our website so people could see the tone and approach we were taking with our reviews. We networked with people in the industry who were working with authors. Since they knew my work and Patty’s work, they felt confident that we were doing a good job. Has business picked up in that time? Thorn: Over time it’s built. We have individual authors who contract us and we also work with companies that produce books for self-published authors. They offer our reviews, sometimes for a discounted rate. We have slowly built to a level that we’re very proud of. On average, we run about 100 reviews a month. How have things changed in the world of self-published books since you started Blue Ink? Thorn: I think the biggest thing that’s changed is that authors that are getting the message pretty clearly that they need to hire help. Get it professionally edited, get it professionally copy edited, and get a professional cover. The quality of the books we’re seeing is improving, although there’s still a huge mix of really bad and really good. We’re seeing more of the really good and less of the really bad. I couldn’t quantify it, but I think people are getting the message that you can’t just sit down and write something off the top of your head and expect people to want to read that. When self-published authors hire Blue Ink to write a review of their book, what do they get for their money besides the review? Thorn: We have a monthly newsletter where we offer marketing tips, writing tips, and industry news. We do a recommended list that goes out to librarians, agents, and editors who’ve signed up to get those kinds of notices. So a lot of people in the traditional publishing world will see those. We do a local author alert for libraries. For librarians who’ve signed up, if there’s an author in their area who gets a really good review—the best review is a starred review—we send out a local author alert. Librarians are mostly interested in self-published works by authors in their area. Our subscribers are specifically looking for information about self-published books. With the traditional review companies that offer self-published reviews, the people they have on their subscriber lists are mostly interested in their reviews of traditionally published books, not self-published books. Will librarians buy self-published books for their collections? Thorn: It’s slowly getting there. Sometimes they’ll buy them, sometimes they’ll just agree to put them on their shelves. We have a partnership with the Douglas County Library system. They have about 8 million books in circulation every year. They regularly buy titles from our recommended list. Our reviews go out in all kinds of other ways. They go to Ingram, the giant book distributor. They have a database that’s accessed by 70,000 librarians and booksellers, and they run all of our reviews in there. We just started a partnership with Booklist, a very respected magazine that reaches over 60,000 librarians. They’re running reviews of our recommended titles once a month. We also put our recommended titles on Goodreads and social media, as well as the author’s Barnes & Noble page in the editorial review section. When we find a book that we really like, those books get a starred review. Patty and I look at all the books that have gotten a starred review, and if there’s a book we really love personally, we have a thing called the Blue Ink Best Book Award. We’re very selective about that. We’ve only done this three times. For those books, we’ve tried hard to get the word out. We’ve called newspapers locally where the authors live, and we’ve set up book club readings. We’ll put out a press release that goes to editors and agents to help authors get out there. Have any of the self-published authors you’ve worked with shared success stories with you? Thorn: The first book we gave the Blue Ink Best Book Award to was called Carlos The Impossible, a beautifully written novella by J.T.K. Belle. McSweeney’s picked it up for an anthology. I don’t know how much of a role our review played, but we get comments all the time from authors saying that it’s helped them sell their books or feel more credible as an author. On the other hand, have you gotten complaints? Oh yes, we get complaints. I just got one this morning. Authors sign up for an honest, credible review, and when they get one, sometimes that doesn’t sit well. In those cases we’ll get detailed emails saying things like, ‘They must not have read the book, because they didn’t mention this character appears on page 52.’ Or they’ll argue semantics —- they’ll slice your words so thin, you can’t imagine. I was searching the Internet to find out what self-published authors thought about Blue Ink Review, and one commenter on a website thought there was no way you could keep your reviews impartial, because business would be better with more repeat customers if they were always positive. How do you resist that? Thorn: It’s a crazy business model, crazy, crazy, because you’re not creating a bank of happy customers. I don’t know what percentage of reviews we have that aren’t positive, but you’re constantly making people upset. What I stick to is that we’re trying very hard to be a trustworthy source. We want readers to trust us, we want librarians and booksellers to trust us. If we started slanting our reviews positive, then our whole business model collapses. Part of the business model is based on authors getting exposure to these people, and if they don’t trust us, then there’s not that element. There are probably a ton of authors who just want a glowing review, but that’s not really what we’re about. We’re very committed to being honest. There are times that I look at the reviews coming in and I look at the book and I say, “This is too kind. We need to add some of the negatives here.” And there’s the flip side where I’ll look at the review and the book and I’ll feel that it was too harsh. Either way, we’re trying to be honest. Patti Thorn. Photo by Ellen Jaskol/Rocky Mountain and used here with Thorn’s permission. So you have a reviewer that evaluates the book, and then you evaluate it too? Thorn: I don’t read all the books, but I read all the reviews. I’ll flip through the book. If the punctuation is really terrible or if the organization is bad, you can tell it at a glance. On the flip side, with some of the children’s books we get in, the reviewer might pick out one line that didn’t ring true to them and they’ll write a review that’s slanted toward that one line. I’ll see that the book is pretty good except for that one line, so I try to make sure the review is balanced. How do you convince people that it’s worth it to spend the money on a review that might not be positive? Thorn: We hire reviewers who have good credentials and we pay them. There are sites out now that you can get a review for $40. What does the reviewer get out of that money? We try to respect the people that work for us and honor the fact that takes a ton of time to read a book and write a review that’s articulate and comprehensive and balanced. There are probably people who don’t want to pay that money and they’ll go to the $40 review. I honestly just don’t think that’s as good or fair a product. Either people see the value in what we do and are willing to pay that price, or they go elsewhere. Do you notice any trends in self-published books? Thorn: We see a lot of memoirs — people writing about their life. We get a lot of science fiction and fantasy. Those are the two main categories. We get a fair amount of Christian-oriented books, theology or devotional. Sometimes you’ll see a wave of things — we saw a fair amount of erotica after “50 Shades of Gray,” but we’re not really seeing that right now. You get a lot of thrillers and mysteries, and some literary fiction, but that’s probably less than the other categories. What do you think the future might hold for self-published books? Thorn: It’s continuing to grow. Right now, probably 450,000 self-published books come out every year. It’s not going away. As for the future, I think the quality will continue to improve and slowly there will be greater acceptance in the traditional publishing world of self-published titles that have been vetted in some way. Librarians are starting to thaw. Everybody’s acknowledging that it’s huge and it’s not going away, so how do we deal with it? Ideally, what everybody wants is to have self-published books considered right along with traditional books. The problem is and always will be that the quality varies wildly. You want books that have been selected and proven. Everybody wants to find those books that are deserving. That’s what I think will maybe happen down the road as all this gets sorted out. Jenny Shank’s first novel, The Ringer, won the High Plains Book Award. Her stories, essays, satire and reviews have appeared in The Atlantic, The Washington Post, The Guardian, McSweeney’s, the Dallas Morning News and The Toast. GIven that the majority of self-published/indie e-books don’t use ISBN numbers, estimates/analysis based on ISBN numbers should be taken with a grain of salt. For a different perspective, based on crawls and analysis of Amazon, see the Author Earnings web site.